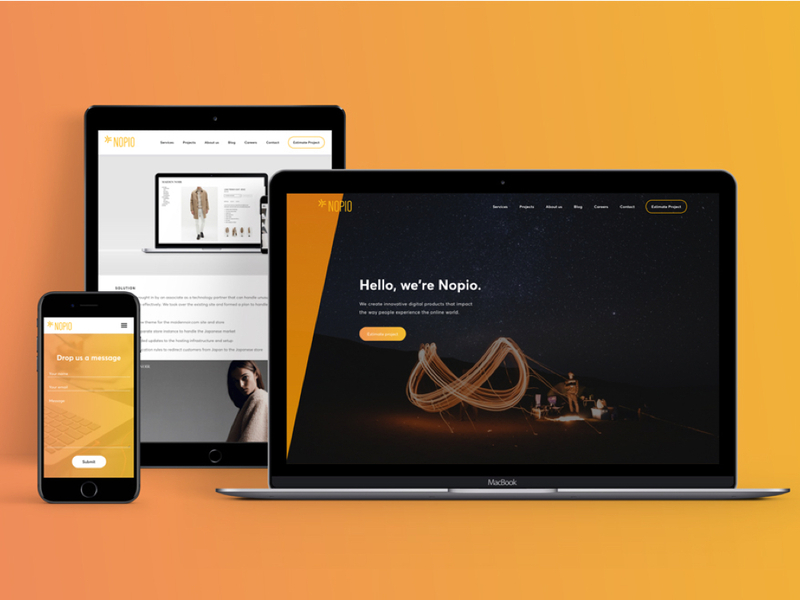 At Nopio, we believe that web development requires a successful merge of many types of technologies with fresh ideas. As a group of experienced and passionate developers, we're ready to take on any challenge you throw our way. 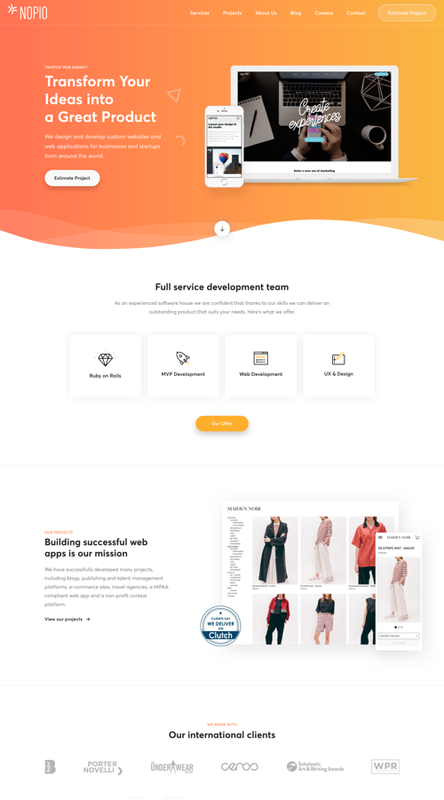 Nopio is a software house full of developers with passion, ready to take on any challenge with your website or web application. 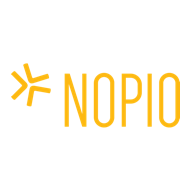 We are Nopio, a rapidly growing software house from Poland. We believe that web development requires a successful merge of many types of technologies with fresh ideas and passion.